Astragalus and Breastfeeding - Is It Safe To Take This Supplement? Astragalus and Breastfeeding – Is It Safe To Take This Supplement? – Many nursing women have introduced astragalus into their diets in the form of capsules, extracts, and astragalus tea. However, reports of the herb’s effectiveness vary greatly and there is no evidence as to whether or not astragalus is really beneficial to lactating mothers, or their infants. 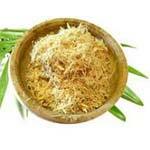 – There are around two thousand species of astragalus root. Some of those are toxic to the human system. – It was not until the 1980’s that a link was made between astragalus and breastfeeding. Therefore, its use and function is not fully understood, and neither is its safety. – Because astragalus of most often used in combination with other herbal supplements for the purpose of efficacy, it is hard to pinpoint specific astragalus side effects. If you are nursing and considering starting on an astragalus regime, consider these facts before moving forward. As always, seek the advice of your physician and your child’s pediatrician before taking an herbal supplement. Opinions about astragalus and breastfeeding vary, so do your best to make an informed decision.